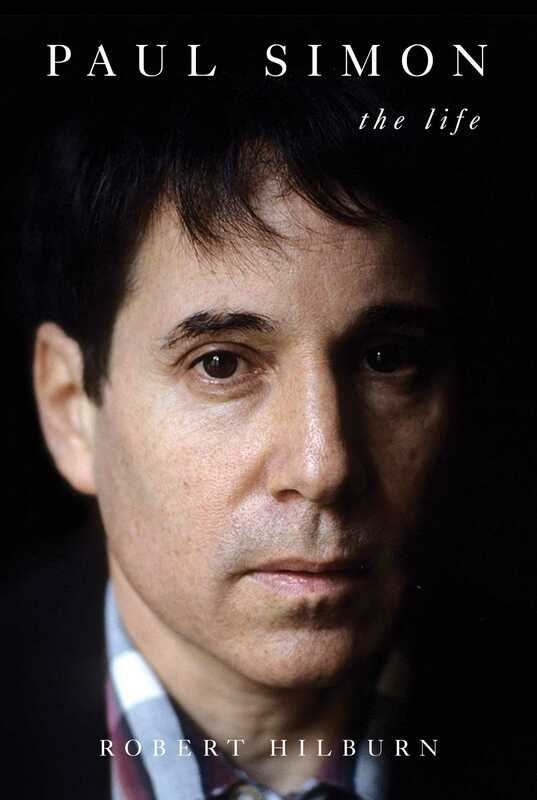 A publishing event from music legend Paul Simon: an intimate, candid, and definitive biography written with Simon’s full participation—but without his editorial control—by acclaimed biographer and music writer Robert Hilburn. Finally, Simon has opened up—for more than one hundred hours of interviews—to Robert Hilburn, whose biography of Johnny Cash was named by Michiko Kakutani of the New York Times as one of her ten favorite books of 2013. The result is a landmark book that will take its place as the defining biography of one of America’s greatest artists. Over the past three years, Hilburn has conducted in-depth interviews with scores of Paul Simon’s friends, family, colleagues, and others—including ex-wives Carrie Fisher and Peggy Harper, who spoke for the first time—and even penetrated the inner circle of Simon’s long-reclusive muse, Kathy Chitty. The result is a deeply human account of the challenges and sacrifices of a life in music at the highest level. In the process, Hilburn documents Simon’s search for artistry and his constant struggle to protect that artistry against distractions—fame, marriage, divorce, drugs, record company interference, rejection, and insecurity—that have derailed so many great pop figures. Paul Simon is an intimate and inspiring narrative that helps us finally understand Paul Simon the person and the artist. “With train-wreck moments and tender interludes alike, it delivers a sharply detailed Kodachrome of a brilliant musician” (Kirkus Reviews). Ever since his debut on Saturday Night Live in 1975, Paul Simon looked forward to walking the narrow hallway to the stage at NBC Studios in Midtown Manhattan. Whether alone, or with Art Garfunkel, or with the high-stepping, show-stopping South African vocal group Ladysmith Black Mambazo, he enjoyed the well-wishes of the cast and crew as he made the walk—their smiles, shouts of encouragement, and even pats on the back. This time—the night of September 29, 2001—it was different. As soon as Simon stepped into the hallway, he saw a row of New York City firefighters and police officers, their heads bowed, still mourning the deaths of more than four hundred of their comrades in the World Trade Center terrorist assault eighteen days before. It made Simon wonder whether this tribute to the victims of the 9/11 attacks—some nine thousand killed or wounded—wasn’t premature. Many in the SNL cast of comedians asked themselves the same question. Would people really be ready for jokes? Simon had already joined nearly two dozen musicians—including Bruce Springsteen and U2—in performing on a September 21 telethon that was broadcast around the world and raised more than $200 million for families of the victims. In one of the show’s emotional highlights, he sang his most famous composition, the gospel-edged “Bridge Over Troubled Water.” But that night wasn’t quite the same. The telethon was designed as a worldwide expression of solidarity and support. Artists performed on candlelit stages with no studio audiences, giving the event an intimacy that was somber and inspiring. For SNL, Lorne Michaels, the creator of the culture-defining series, wanted to aim directly and unmistakably at the residents of New York City—opening with Mayor Rudy Giuliani standing with some thirty fire and police personnel who had just come off duty at ground zero, the dust of the site still visible on their uniforms. The plan was for the mayor to say a few words about the glory and resilience of New York and then have Simon sing a song, which would serve as a crucial step in Michaels’s goal of lifting the city’s spirits. Michaels believed Simon was the perfect choice—the only choice. He was one of the all-time great American songwriters, inducted into both the Rock & Roll Hall of Fame (twice) and the Songwriters Hall of Fame, and the only artist to receive Album of the Year Grammy Awards for records made in three separate decades. His tunes had been recorded by a treasure chest of vocalists, from Elvis Presley and Frank Sinatra to Barbra Streisand and Ray Charles. Simon was also a New Yorker whose career reflected the triumphs and struggles of the city itself. He had come out of the borough of Queens with his schoolboy chum Art Garfunkel to enjoy superstar status around the world, and then exhibited the guts to walk away from the duo at the height of its popularity in 1970 to follow his own musical dreams. The first solo decade proved to be an even more creative period for him than the 1960s, thanks to his wider musical range, and the 1980s were equally commanding, including his masterpiece, Graceland. At the same time, Simon had felt the sting of defeat. He’d never been forgiven by a lot of Simon and Garfunkel fans for breaking up the partnership. He had also gone through two divorces and had failed in his ventures into movies (One-Trick Pony) and Broadway (The Capeman). To Michaels, Simon had one other vital link to this special evening: he had been in the city on 9/11, and he knew the fear that gripped it. On that morning, he had walked two of his children—Adrian, eight, and Lulu, six—to school, about fifteen minutes along Central Park West. It was a lovely day with just a trace of prefall chill in the air. By the time he returned to his apartment just after nine o’clock, his wife, Edie Brickell, was at the door with the news that an American Airlines plane had crashed into the North Tower of the World Trade Center. As Simon stared at the television screen, his first thought was that it was a tragic accident—only to watch in horror as a second plane, this one from United Airlines, smashed into the South Tower. There was now no question that the city was under attack. In panic, he raced back to the school to bring home Adrian, Lulu, and the children of some of his friends. To keep the kids calm, Paul and Edie turned off the television so they could play without hearing the frightful details of what was happening downtown, just a few subway stops away. President George W. Bush soon confirmed the attack, and city officials closed the bridges and tunnels leading into and out of the city. Within minutes, a plane attacked the western façade of the Pentagon, and yet another crashed in a field in Pennsylvania. By the end of the day, there was a strange smell in the air in New York—not a normal smoke smell but all the chemicals from the crashes. “It was like we were all trapped, all helpless,” Simon said. “You wanted to help, but what could you do?” Days later, he got his answer with requests to perform on the two broadcasts. Even with his concern about the timing of Saturday Night Live, there was no way Simon would turn down Michaels, who was one of his closest friends and whose judgment he trusted implicitly. Plus, Simon had been around the SNL set so much that he was like an honorary member of the cast. Still, it was daunting. As soon as he stepped into the hallway, he began to worry about maintaining his composure. Simon had sung at funerals and memorial services for friends and musicians, and he knew how difficult it was to look at grieving faces. As he finished, the TV audience heard a few gentle guitar notes, and the camera slowly panned from the mayor to Simon. Dressed in black and wearing an FDNY cap, Simon stood in front of a huge American flag as he began singing the song Michaels had chosen for him: not “Bridge Over Troubled Water” but “The Boxer,” a story of Simon’s own struggle and resilience, complete with New York City references. The audience remained silent during the first two choruses, giving the moment an added poignancy. As Simon ended that final verse, however, scattered members of the audience whispered the “Lie-la-lie” chorus with him, adding to the emotion in the studio. Fifteen years later, Lorne Michaels called Simon’s performance the most moving musical moment in the history of Saturday Night Live. It was a defining moment for Simon because it underscored what had long been one of his quintessential qualities as a songwriter. Like “The Boxer,” so many of his songs moved past any inherent darkness to express consolation, optimism, and even faith. In a rock ’n’ roll world forged by rebellion, his music—from “America” and “Mrs. Robinson” to “American Tune” and “The Boy in the Bubble”—was founded on empathy. Indeed, Simon’s first great song was born during a period of trauma when he was in need of comfort himself. After years of toiling at the lower levels of the music business trying to write teen pop hits largely by copying what was on the radio, he felt in the fall of 1963 that he was at a dead end. Inspired by the emergence of the folk movement in New York’s Greenwich Village, he vowed to reach inside to find out if he truly had anything of his own to say in a song. If he was going to be a failure as a songwriter, he told himself, he was going to be a proud failure. Night after night in November, he sat in the bathroom with his guitar, alone with his music and his future. Then his world changed with the assassination of President John F. Kennedy. Simon, who’d just turned twenty-two, was on his lunch break from his job at a publishing company in Manhattan when he heard the news. His mother, Belle, remembered that he spent hours despondent in his bedroom. Not long after the tragedy, Simon returned to the bathroom, switched off the lights per his custom, and started softly fingerpicking on the guitar. It was around then that he hit some warmly evocative notes that he played over and over again. Slowly, he began reflecting on thoughts that had been nagging at him for months: the way people ignored the words of those, from musicians to religious leaders, who preached against injustice and excess materialism. For the next five-plus decades, Simon wrote with such ambition and craft that it looked easy from a distance. He’d deliver a prized album, tour, and then largely disappear for the three or four years it took to write and record another collection. Through it all, he rarely shared his personal story in interviews or engaged in the tabloid-ish episodes that contribute to many artists’ personas, which rival their music in the public eye. Yet Simon, too, had to deal with the struggles and challenges of a life in the pop world. He wasn’t a born songwriter. He spent six years writing one mediocre song after another until, through a series of pinpointable events, he finally became the artist who wrote “The Sound of Silence.” This evolution makes Simon an ideal case study of pop music excellence and longevity—how true artistry is achieved and how you then need to protect it against distractions such as fame, wealth, drugs, marriage, divorce, ego, rejection, changes in public taste, and fear of failure. Simon wasn’t immune to any of them. 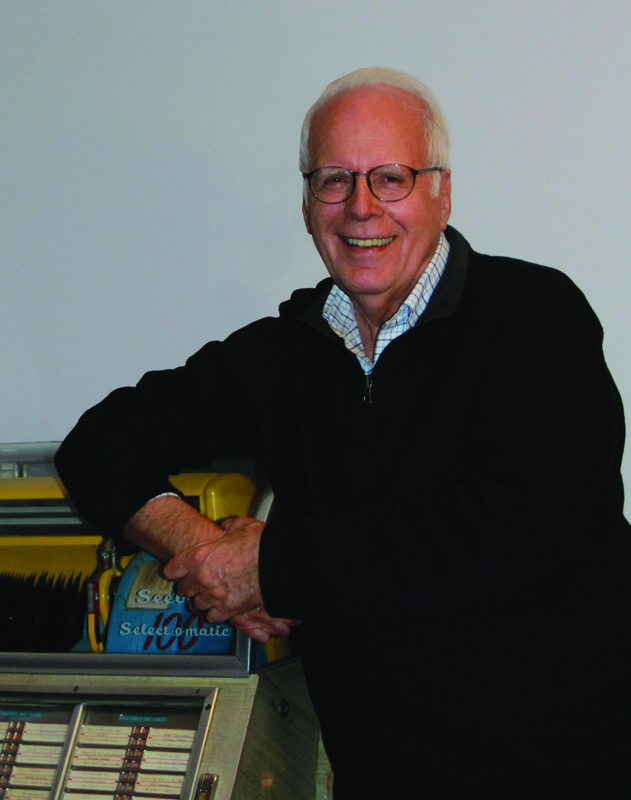 Robert Hilburn was the chief pop music critic for the Los Angeles Times for more than three decades. Author of the bestselling biography Johnny Cash: The Life, which Michiko Kakutani of the New York Times selected as one of her top ten books of 2013, Hilburn has reported extensively on most of pop music’s giants, including Bob Dylan, John Lennon, Joni Mitchell, Leonard Cohen, Michael Jackson, Bruce Springsteen and U2. He lives in Los Angeles. "Engrossing . . . Simon is revealed as sensitive yet tough, spontaneous yet controlled, as well as reflective, perceptive, and empathetic, but also judgmental, insecure, and extremely competitive. As a songwriter, he has earned a spot in the canon alongside Gershwin, Lennon-McCartney, and Dylan."